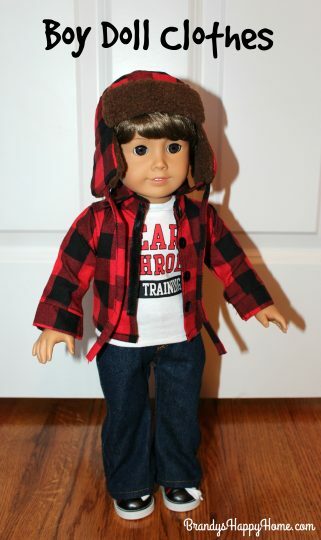 With all of the buzzing excited about American Girl’s upcoming first ever boy doll I thought I’d share with you a super cute line of boy doll clothes carried by the Neat-n-Cheap Doll Outlet. 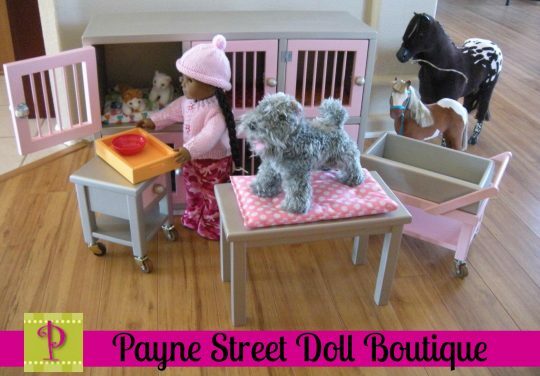 The Neat-n-Cheap Doll Outlet carries a variety of boy clothes and shoes fitted for 18 inch dolls. 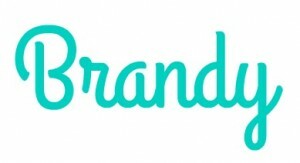 I found this clothing to be of good quality and at an excellent price point. I will share with you a few of the boy doll items that they have to offer. 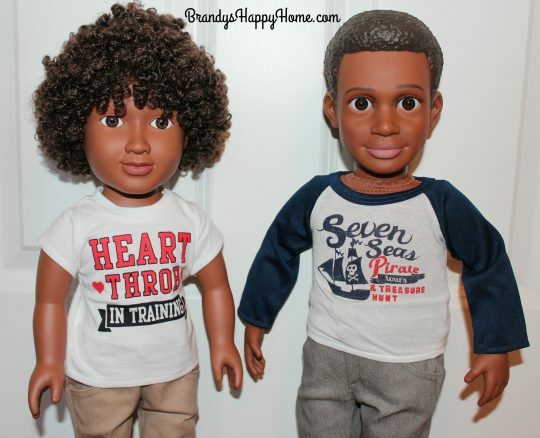 And…I think you will agree these outfits are super cute…leaving these boy dolls just adorable! 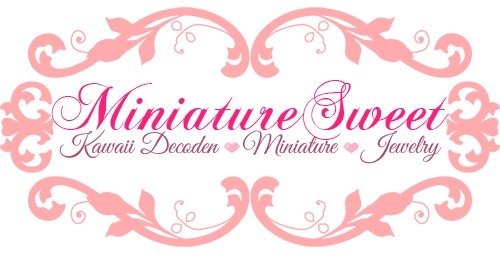 You can find this line of clothing here: http://stores.ebay.com/Neat-N-Cheap-Doll-Outlet/18-Boy-Doll-Clothes-/_i.html?_fsub=6288018012&_sid=675862892&_trksid=p4634.c0.m322 Make sure to look at this line carefully because they do offer bundle options…such as the hat, flannel shirt, jeans, and shoes pictured below can be bundled for $23.95, saving you almost $5 if purchased separately. The shirts from the Neat-n-Cheap Doll Outlet fit the My Life (left) boy doll very well. The shirt fits but is a tiny snug on the Boy Story (right) action figure dolls. 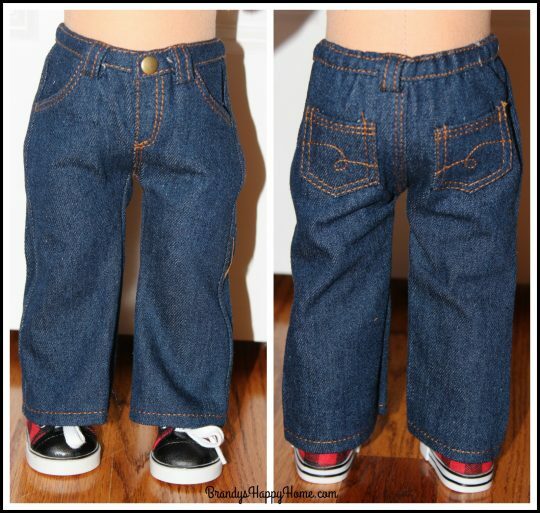 The jeans pictured above fit lose on the My Life doll and are way too tight on the Boy Story doll. The shoes fit the My Life boy doll very well. The shoes do not fit the Boy Story doll; the Boy Story doll have much larger feet. 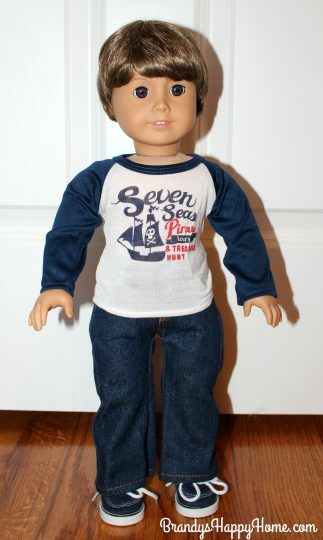 And of course every shirt has to have matching shoes….even for the boy dolls! Check out these adorable navy canvas shoes…reminds me of dock shoes…perfect for a pirate shirt.! 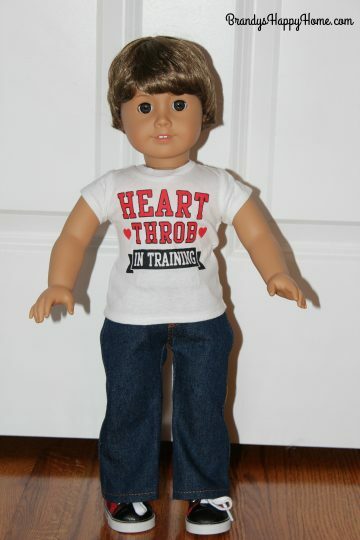 Are you ready for American Girl’s big release of it’s first ever boy doll? We will be meeting Logan very soon! Get his closet stocked up! 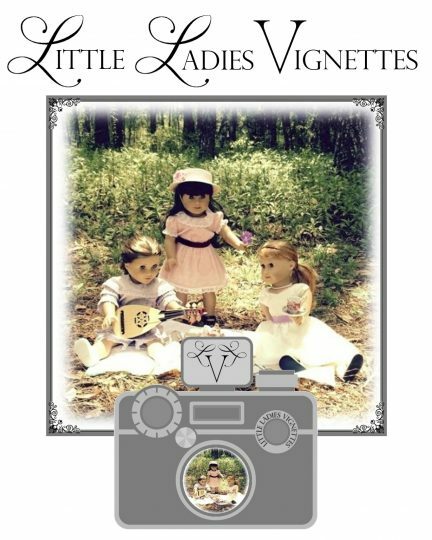 I’ve found a couple of Etsy sellers who will custom make Boy Story doll clothes according to the measurements provided by the company. Would you be willing to write up a post on them once I get the clothing? Feel free to e-mail me. Hi Sharry, I usually only do blog posts on items that I review myself. Thanks for the kind offer though. Have a great weekend. 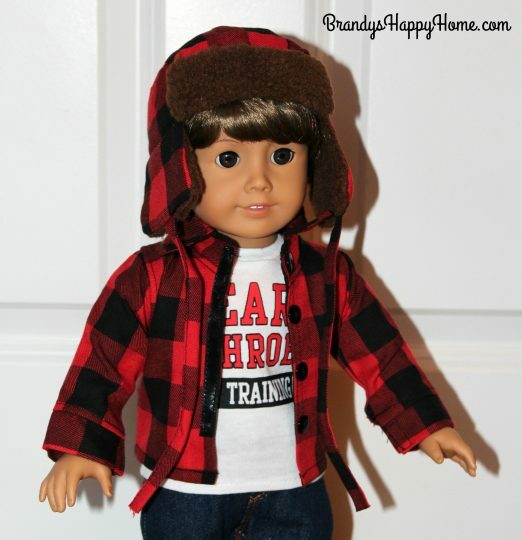 Where can I buy a wig to make a boy WellieWishers doll? Wow! Thanks so much Anna! I am so honored! I’ll check out your link! I love those plaid shoes. Thanks for sharing. Oh my gosh how cute are those clothes? 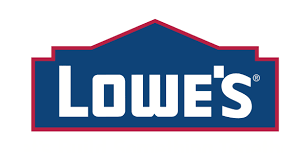 And what wonderful prices!! We started with the Batman shoes and the Darth Vader t-shirt (my son is all about the characters). As soon as I saw the Batman shoes I knew I was going to be ordering some goodies! I also ordered the Western skirt because my daughter is getting Saige soon as a surprise gift from my aunt who lives in New Mexico. 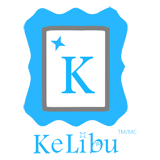 I have a feeling I will be back for more…..thanks for the information as always! Thank you for posting this- what an amazing ebay store! I have saved this into my favorites. I especially like the dock shoes! I agree! Those shoes are super cute! Thanks for telling me about this shop!I actually just got the My Life as.. School Boy(Not the one in your picture but the other one. ), and I don’t have hardly and clothes for him. I’m super excited for Logan! I have wanted AG to make a boy doll for a VERY, VERY long time.